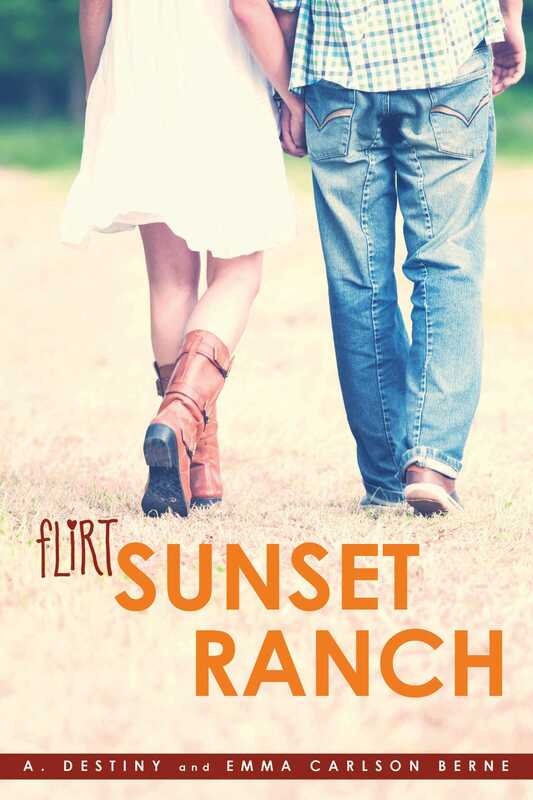 First crush, first love, first kiss—in this addition to the sweet and clean Flirt series, Chloe finds that there’s more than just horses waiting for her at the ranch this summer. Chloe can hardly believe it when she lands a summer job mucking stalls at one of the best dude ranches in Colorado. Things only get better when she meets Stephen. He’s funny, friendly, and hardworking—a welcome antidote to Chloe’s daily doses of Zach, the cocky, self-satisfied fellow ranch hand. When a trailer full of new colts arrives for training, Chloe is given the job of caring for them. She’s looking forward to spending time with Stephen, but then Zach is assigned to help with the training and Chloe’s plans for moonlight rides and watching sunsets are squashed. But as the summer continues, Chloe starts to see a different side of Zach as he works with the horses—and she starts to wonder if maybe she judged him too harshly. Could there be something between them after all? I hitched my backpack higher onto my shoulders and brushed back my hair, which already felt ickily greasy. My flight out of Cincinnati had left at six a.m., so I’d skipped a shower. My guitar case seemed to weigh a thousand pounds, and I was beginning to question the wisdom of hauling it all the way out here. As I made my way toward the baggage claim through the cavernous, glass-ceilinged terminal, I tried not to stare as men in actual cowboy hats and boots strode by. Air force soldiers in sleek navy uniforms shouldered big blue duffels. Families with long zippered ski bags struggled past. Out the huge picture windows the mountains hulked, white and blue-gray against an impossibly azure sky. I shivered a little and grinned to myself—this was really Colorado. I was really here, thousands of miles from home, for three months. I wanted to sing my way down the terminal. I followed the river of people out of the main terminal, stepped onto a down escalator, followed a long underground passage to an up escalator, then allowed myself to be swept along to another up escalator. I was wondering just how much longer I’d be trailing around this airport when the escalator deposited me in front of several baggage carousels. I hurried over to the nearest one and scanned the conveyor belt for my khaki-green army surplus duffel. Mom had been so proud when she found it for only five dollars at the thrift store. There it was, riding around and around, looking like an abandoned stuffed animal in the midst of all the black rolling suitcases surrounding it. I elbowed through a scrum of random passengers and reached forward, managing to snag the strap just as the bag moved past. Puffing slightly, I dragged it toward me and let it thump to the floor. “Hey, thanks for getting my bag,” someone said in a southern drawl. I looked up into the clearest blue eyes I’d ever seen. A tall boy about my own age was standing beside me. He had a backpack too, and he wore a gray T-shirt that read PACIFIC FOOD CO-OP and frayed khaki shorts with sandals. His black hair fell over his forehead, and his eyes were startlingly light against his tanned skin. He smiled, showing sparkling white teeth. A leather band circled one broad wrist and a narrow silver chain glinted under the collar of his T-shirt. I closed my mouth, which had fallen open slightly, and cleared my throat. “Ah, sorry. This is my bag.” I tried to sound cute and casual, though I think it came out sounding more strained and weird. The boy studied the duffel, looked at me for such a long moment that I flushed, then looked back at the duffel again. A slow grin spread across his face. “Let’s see. My bag was my dad’s, from the army. So if you’re telling the truth, why would you have the same kind of bag? Unless you’re in the army yourself.” He was teasing me—that much was clear. I wondered if my neck was going all splotchy. “I’m not in the army. My mom got it at the army surplus store. Okay?” I swiped at the bag, but he slid it back out of my reach and shook his head. “Hmm. I say it’s mine; you say it’s yours. What should we do?” His eyes crinkled up at the edges, and a dimple appeared in his left cheek as his smile deepened. For one electric instant we looked into each other’s eyes. Then I cut my gaze away, thoroughly rattled. “Here.” I grabbed the zipper and pulled. 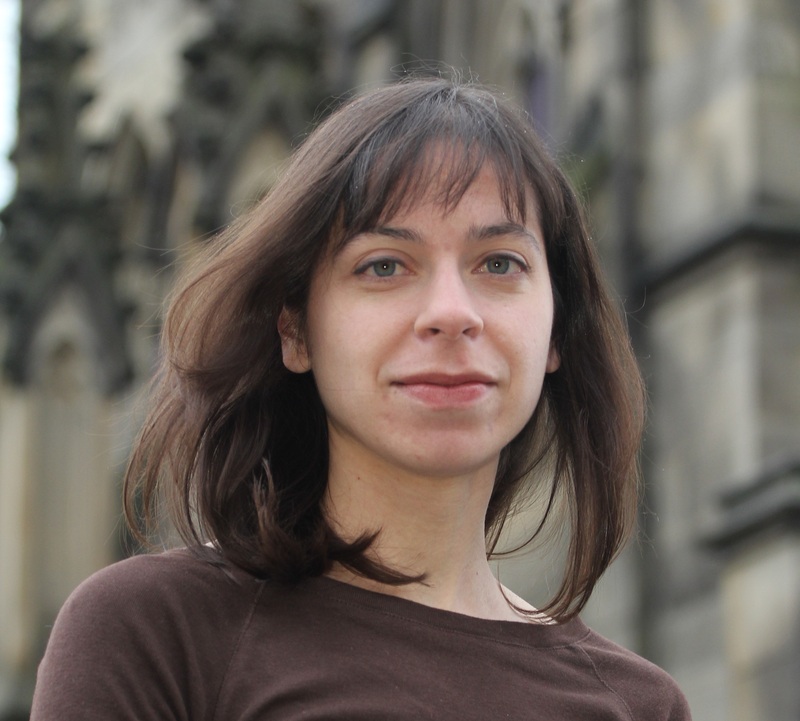 The bag fell open, revealing several pairs of purple and pink underwear lying on the top of a mound of jeans and T-shirts. Oops. My cheeks flamed. Of course I’d forgotten the underwear was on the top. I struggled with the zipper, but a pair of the underwear was caught in the teeth. Now I had no desire for anything but to get away from this person as fast as I could. “You’re funny, I can see that. Hilarious, actually.” I yanked at the zipper again. “It’s one of my special talents. Here, let me.” The boy pulled hard at the zipper and raked it up to the top. I exhaled. “Thanks. Anyway. Nice to meet you.” A little trickle of sweat ran down my chest, but at least my underwear was safely out of sight again. Without looking at him, I grabbed my bag and marched away toward the glass exit doors. “Hey, what’s your name?” he called after me. “Private McKinley,” I yelled back over my shoulder. Then, just as I turned around again—bam. I slammed into the clear glass door. “Ooh,” I moaned, holding my forehead, letting my bag slide from my shoulder. Something dripped from my fingers, and I looked down to see bright blood splotching the floor at my feet. “Nice. Have you ever considered a helmet?” The guy was waving at one of the airport security guards, who came hurrying over. “Oh now, miss, why don’t you come with me to first aid?” The burly man was leaning over me. Then a ticket agent appeared, holding a towel. I pressed the white towel to my brow and looked around. The boy was gone.